This is Old Jack’s third book of ghost stories. Old Jack travels to Scotland, a country with a long history, legends and dark secrets. Who is the evil spirit in the famous Edinburgh Vaults? What is the tragic secret behind the story of the Red Room in Borthwick Castle? Why does the ghost of a young girl appear? Who is the ghost in the bathroom of a house in Glasgow? And how did the man found dead in the bath die? 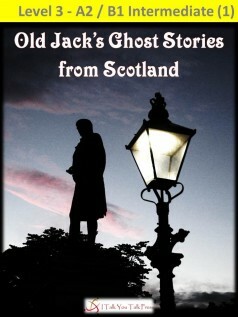 Join Old Jack as he travels around Scotland learning about its history and tragic tales. For maps and photographs of the places in the book, click here.